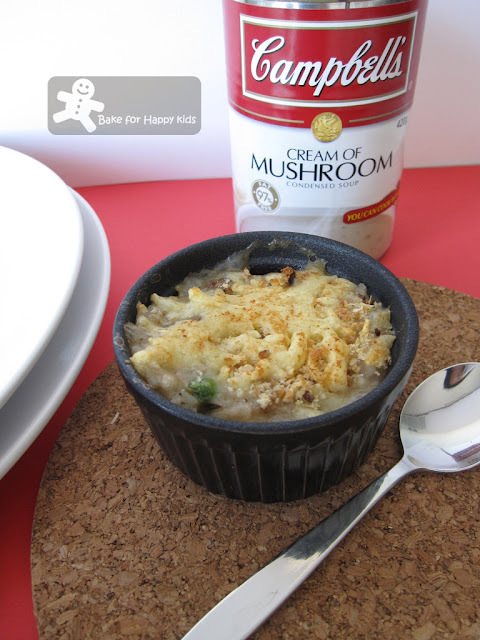 I got this idea of using Campbell creamy soup base to make baked rice from one of my friends. She made these for dinner and brought her leftover for lunch. We simply loves this dish...my pictures can clearly tell how delicious it was. My toddler son loves it so much that he ate 2 serves of rice (each in typical Ikea plastic kid bowl). 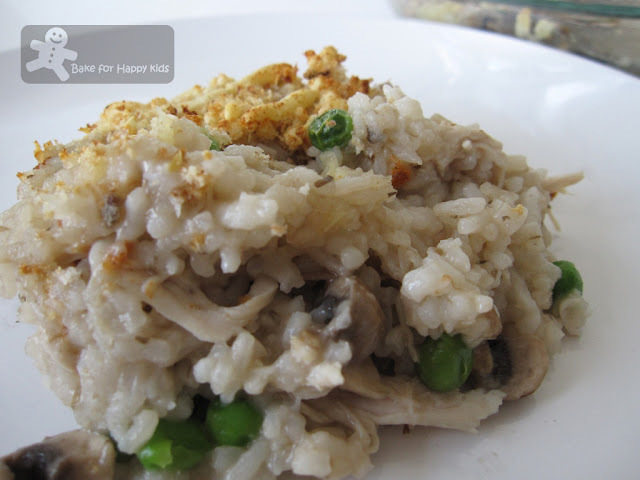 I loves the fresh mushrooms in the rice as well and I must say it is a great way to use left over cooked rice to prepare a quick dinner. Place the soup base and mushroom in a cooking pot and cook over medium heat until mushrooms is cooked. Add rice and chicken and mix until combined. Add peas into the soup/rice mixture last and turns off heat after 2-3 min (so that peas will be cooked but will lose its colour). 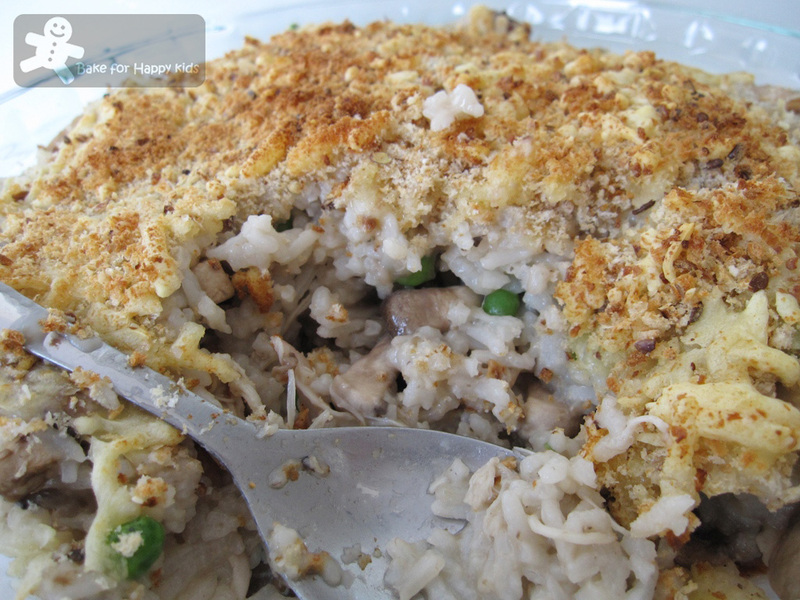 Spoon the rice mixture into a baking dish and top with well combined mixture of breadcrumb and cheese. Bake for 10-15 min until cheese melt and breadcrumb turns brown. but i sure will try some of yr recipe, this campbell mushroom chicken rice sounds so fun to make! WoW! 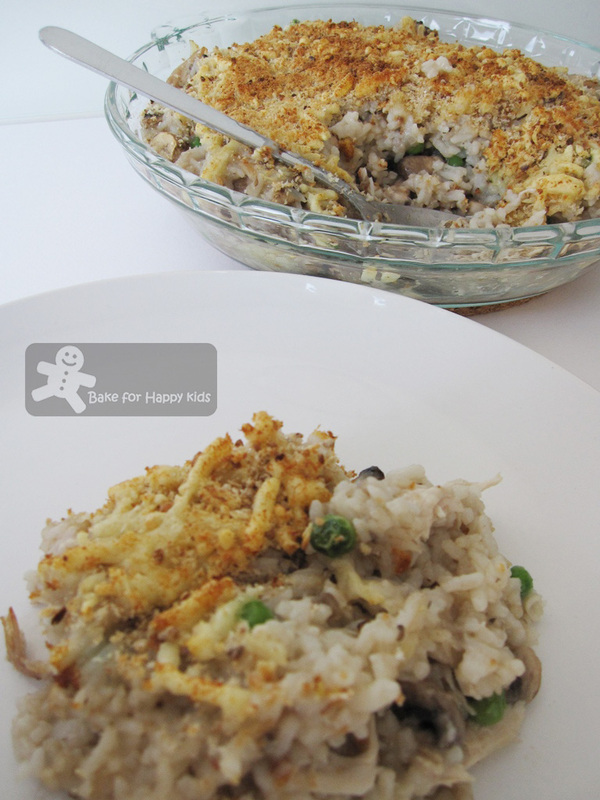 Delicious looking recipe and quick to put together, I love it! Your photos are beautiful too. 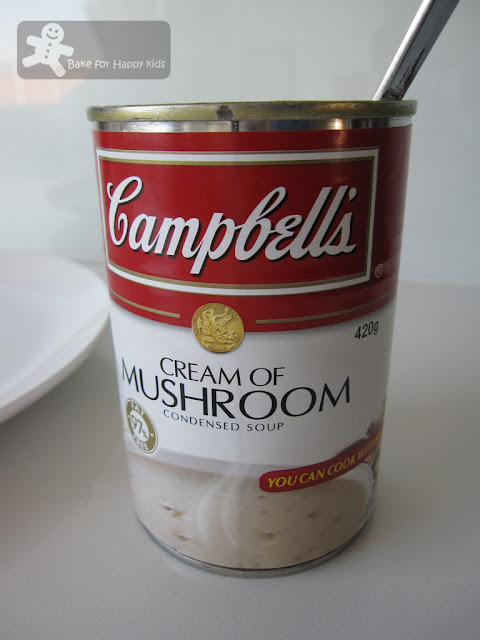 Among all the canned Campell soup, the cream of mushroom has been my lifelong favorite... It is very comforting and very savory. I even remember making a dip out of it... Then I learned to make mushroom soup from scratch and I have never had this since. Thanks for the reminder... I can understand why your whole family loves this, yummy! hi zoe...tq for dropping by at mine...i've never tried baked rice before..nice eh? shud try one day..
the bake rice looks really yummy & easy to prepare..would love to try this too next time..
Ian, Shandy, Shirley, Jun and Ayu: Thanks for comments and visiting this post. Hope to hear from all of you in the future. Never tried campbell baked rice before. Looks nice and easy to prepare. Thanks for sharing! Grub: Thanks for your comments and visiting my blog. All the best for exams! "No-Frills Recipes" : I hope that I address you correctly... Thanks for following and hope to hear from you in the future.